A clearly convenient way to enjoy clean, sharp lenses at home or on the go! 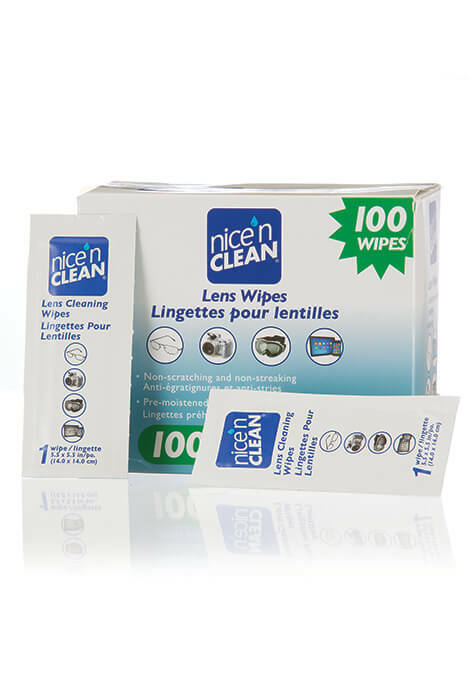 Soft wipes remove grime and fingerprints from all your lenses without leaving streaks or scratches. Perfect for eyeglasses, cameras, touch screens of all types, monitors and much more. They’re even safe for displays with anti-reflective or anti-fog coatings. Disposable wipes are pre-moistened with a light citrus fragrance and individually wrapped for a fresh, clean wipe every time — simply tear, wipe and toss!